Jason Clotter, a bassist from Puerto Cortes Honduras has currently resides in the mecca of jazz in New York City. During his years migrating from Honduras to New York City, he has studied the bass at age17 when he was invited to Ceila Cruz Bronx High school of music. 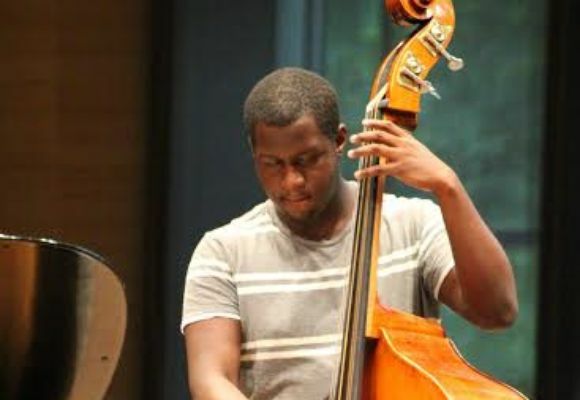 He has grown tremendously since he started playing the bass in high school. Clotter has took part in many prestiges program such as Jazz at Lincoln Center, NAFME, Manhattan school of music and much more. Clotter has shared the stage with numerous great musicians such as Eli Yamen,Stacy Dillard, Vincent Gardner, Marquis Hill, Wallace Roney, Eric Lewis, Steve Davis, Michael Mwnenso, Anthony Wonsey and many more. He has performed in prestiges venues around the world such as Jazz at Lincoln Center, Smalls Jazz Club, Smoke Jazz Club, Grand Ole Opry and Reduta Jazz Club ( Czech Republic). Clotter has been selected to be apart many programs such as Jazz Lincoln Center, Manhattan School music Pre college, Bloomingdales school in music, Skidmore Jazz Institute and much more. Currently Jason attends Purchase College. Currently Clotter has been Storming the Jazz Scene as an upcoming Bassist. It is Jason mission to create beautiful music and keeping the music alive and going.